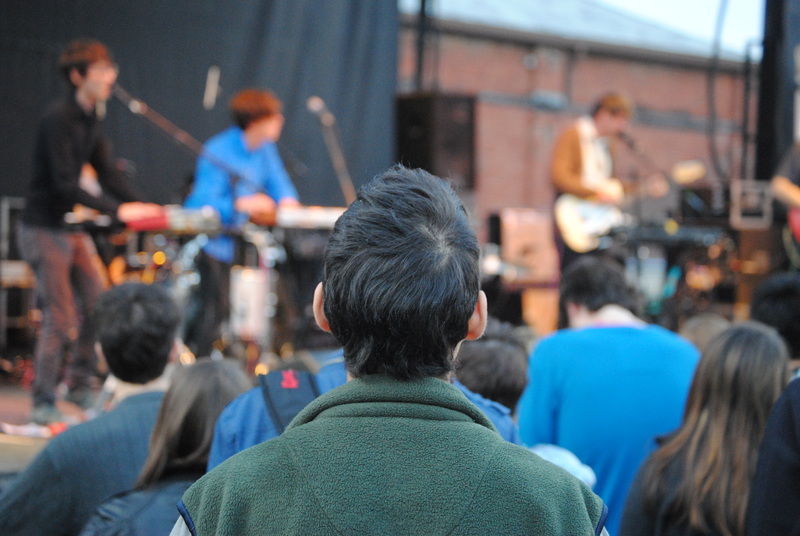 Shout out to Danger Village for hooking it up with a press pass for the Pygmalion 2011 Music Festival. It was the first festival I ever shot, and the rush of photographers pushing each other around to get the best angle in a cramped 2 foot wide pit area was fantastic. No that is not sarcasm. It was actually really fun. Check out some of my photos below, and the rest, here on the ACITM flickr account. That’s right here on the flickr. Right here. So feel free to click here and go to the flickr. Here. If you’re a U of I student tired of totes ragin’ every night at the krazy keggers at Sigma Delta Zeta Phi Omega Zeta Beta Kayta and want to see good music for 5 days (instead of hearing Bruno Mars and New Boyz at the ∑∆πΩZßK house), this festival is for you. If you’re a Chicago resident still really upset that Pitchfork/Lollapalooza/North Coast had to end, and just a little more music would make you feel better, this festival is also for you. Pygmalion Music Festival can be seen as summer’s last stand, or fall’s bright start. The festival that takes place September 21-25 offers 90 bands playing at 10 different locations throughout the Champaign-Urbana area. As we did with Lollapalooza, picking the shows you could not miss and basically crafting your schedule for you (It’s ok to admit it), here are the top 10 acts to see at Pygmalion.